Memorial Day in New York honours all people who have died whilst serving in the military. Memorial Day coincides with the official start of the summer season, so it’s not just a day of reflection, it’s also a celebration. There are many events going on in the city. On Memorial Day, all men and women who died whilst serving in the American armed forces are honoured. Memorial Day occurs annually, on the last Monday of May; so the date changes each year. In 2019, Memorial Day will be on May the 27th. Initially, Memorial Day was introduced as a day to honour the Union soldiers who died during the American Civil War. After World War I, this changed to include all men and women who died at war or during military service. Prior to World War II, Memorial Day was called Decoration Day. During Memorial Day, many people visit cemeteries and memorials to honour the deceased. Also, the American flag is hung at half-mast. Memorial Day is becoming less of day of remembrance, it also marks the start of the summer season for cultural events. Many people choose to spend this day, and the weekend prior, with their families: having picnics and going to sports events. Tradition for the fashion world is that on this day wearing white becomes acceptable again, until Labor Day. Only a few people still follow this rule and white is now worn throughout the year. This “rule” was coined by the rich, who claimed: “white is for weddings and resorts, not for dinner in the fall”. Because Memorial Day also marks the unofficial beginning of the summer season (the summer solstice is not until June 20th), beaches re-open. 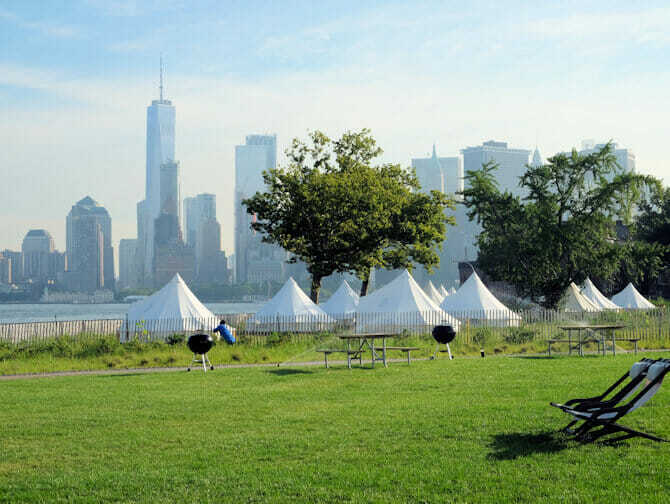 If you head to one of New York’s most unique places, Governors Island, on Memorial Day, you’ll be treated to live music and other free entertainment for kids. Many New Yorkers leave the city and venture elsewhere for example, they go to one of the bigger out-of-town beaches. They also spend time with their families and barbecue. 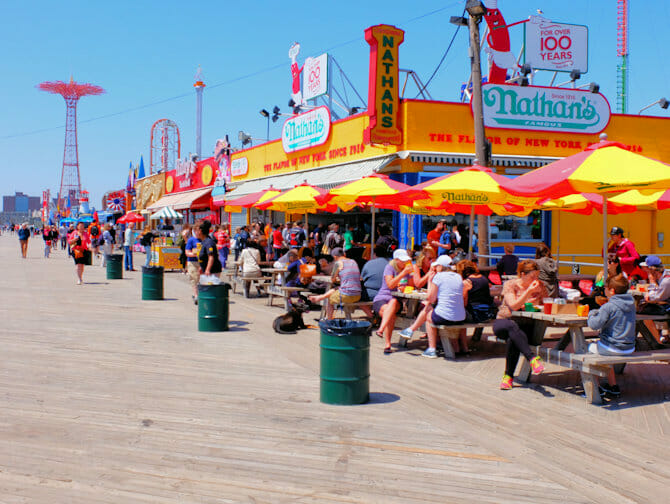 However, staying in New York to appreciate one of the city beaches can also be a lot of fun. For example, in addition to Coney Island opening on Memorial Day, the New York Aquarium (same location) also re-opens: a great activity for the whole family. If you’re still looking for fun things to do at Coney Island, check out Luna Park and ride the world-famous Cyclone! Feel like just taking a walk in the warm weather? Then head over the Brooklyn Bridge, which also celebrates its birthday this weekend. Another fun New York tradition is Fleet Week, the annual visit of the U.S. military sea services to the city. So, it’s a great time to say hello to a sailor! Not only are the Navy, Coast Guard, and Marines walking the streets, there are air shows and many other events taking place. Want to see more? Check out the Intrepid Museum on Memorial Day for related events.